This beautiful seaside city is located in the province of Lucca, in Tuscany on the Tyrrhenian Sea. Popular among noble families and personalities in the eighteenth century, it has remained a top luxury destination. The many hilltop villages and castles in the vicinity exemplify its rich architectural heritage. Forte di Marmi certainly has a VIP feel and offers many exclusive beaches, luxury restaurants and bars, fashion boutiques, art galleries and nightclubs such as the “Capannina Franceschi” and the exclusive beach resort Versilia. In the summer months the city triples its population. Due mainly to tourism Forte di Marmi has the richest economy in Lucca and the third in Tuscany. The average home price is fairly high: in 2012 it was 10,417 euro per square meter, double for a luxury property. 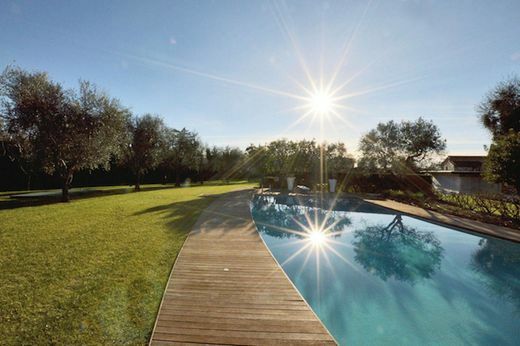 In addition to its beautiful beaches, Forte di Marmi offers splendid gardens, a bucolic scene of orchards and green pastures which surround the luxury homes inhabited by business professionals, artists and Italian VIPs. The area is also ideal for sport lovers, offering mountain climbing or hiking in the Apuan Alps, surfing near the Pier or sailing on lake Massaciuccoli. Forte di Marmi has the most tennis courts per square kilometer in Italy and an international hockey team. Presented by IMMOBILIARE TIMAVO Forte dei Marmi S.r.l.